Lagos is one of the most popular towns on the Algarve, and one that is consistently recommended by people who both stay and live here. The town is popular with travellers in their 20s and 30s, especially backpackers and surfers, but it really attracts people from all walks of life. 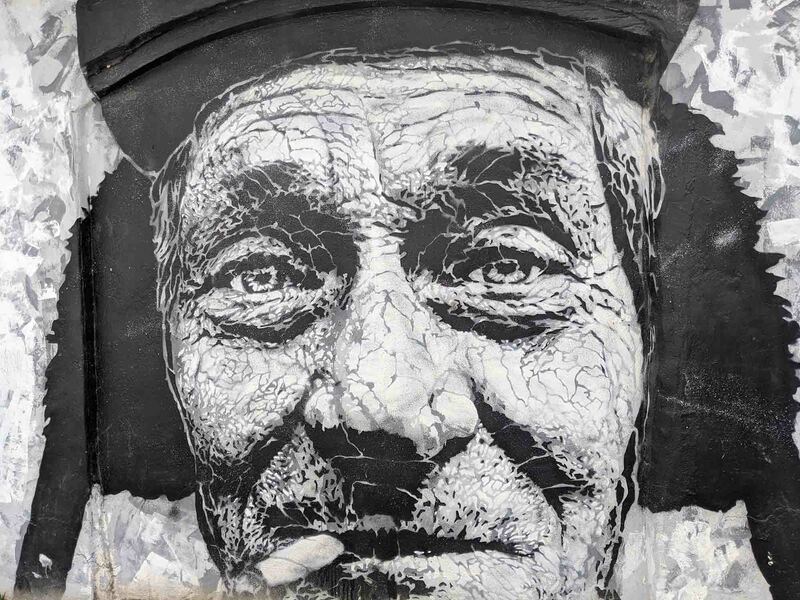 Walk through Lagos Town Centre during the summer and you’ll see everyone from backpackers and surfers to families and older travellers: Lagos has a very welcoming feel to it, which is why so many people come back every year. As coastal towns go, Lagos is mildly touristic – at least, in comparison to other coastal towns on the Algarve. There are plenty of souvenir shops and the occasional English bar, but they blend in amongst the surf rental shops, street art, and hippy-dippy shops selling hemp products and tie-dye t-shirts. Lagos is the last big town before you really get into the Western Algarve, and many people use Lagos as a base from which to explore the West Coast. Lagos, unlike many of the other nearby towns, has a broader mix of bars and restaurants, and a livelier buzz in the evenings. 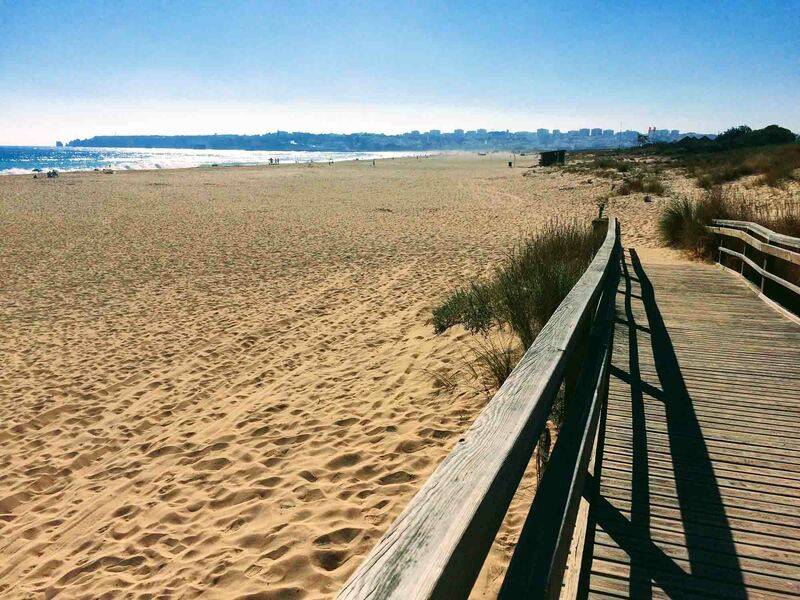 Lagos’ other selling points are that it has its own beach (Meia Praia), as well as several others nearby, and that it also has both a train station and a bus station – ideal for those that are planning on exploring the Algarve without a car. Is Lagos right for me? There’s plenty of accommodation options to choose from in Lagos, but there are a few that really stand out. Lagos Avenida Hotel: Stylish boutique hotel with a rooftop swimming pool that overlooks Lagos Marina and is walking distance of Lagos Town Centre and Meia Praia beach. Casa Mãe: Contemporary hotel with boutique bedrooms and a seasonal rooftop swimming pool, this hotel is particularly popular with visiting couples. Boutique Taghostel: Boutique yet affordable hostel accommodation that’s situated in front of Lagos Marina and within easy walking distance of the town centre. Sailor’s House: Small but stylish hostel that’s been tastefully renovated from a former sailor’s home into boutique rooms. Lagos, as mentioned, is particularly popular with surfers and travellers in their 20s, 30s, and 40s. While it can have a bit of a party vibe in the summer, it’s a more laid-back vibe than resort towns like Albufeira and Praia da Rocha. Although Lagos is popular with surfers, most people actually just sleep in Lagos and then take day trips over to the West Coast to surf. If your main focus is surfing, however, you may prefer to be closer to the West Coast in Sagres or in a surf hostel or campervan near the Costa Vicentina (see “the Algarve for surfers” for more tips). Of course, you don’t have to be a surfer or a backpacker to visit Lagos. 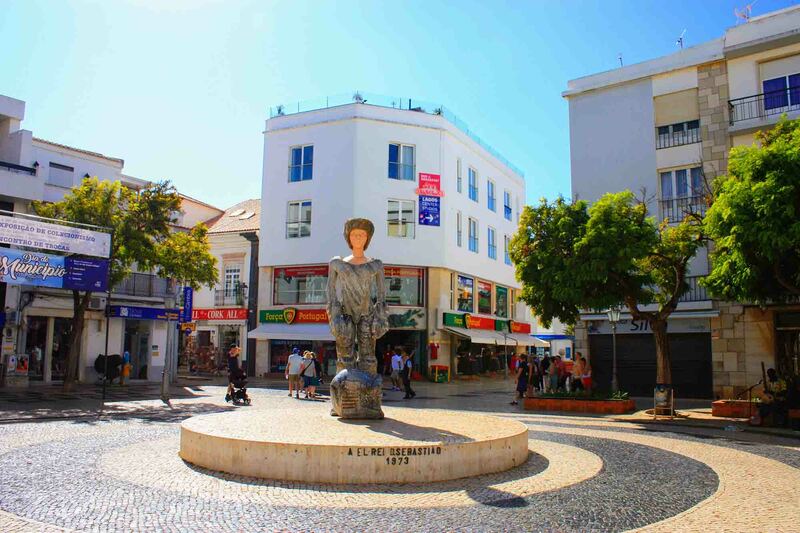 As mentioned, it gets plenty of visitors from all backgrounds especially families and older travelers that want to explore the Western Algarve. Flights: The main airport in the Algarve is Faro Airport. There is also an incredibly small airport near Portimão, but that only has a handful of internal flights. Accommodation: Have you booked your accommodation? You’ll find everything from hostels to luxury hotels here, with something to suit every kind of visitor. Transportation: Are you renting a car, or will you need another way of getting to Lagos? There are several options, including bus and train (see below). Travel Insurance: Travel insurance is always a good idea, especially if you’re planning on taking part in any sporting activities like surfing. Lagos is located in the Western Algarve, but it’s still easily accessible from Faro Airport, Faro, Lisbon, and further north. Airport transfer: The easiest way to get from Faro Airport to Lagos is to take an airport transfer using a service like Welcome Pickups. Rental car: Lagos is roughly 90 km from Faro Airport, and the journey by car takes roughly 1 hour on the A22 Toll Road or 1.5 hours if you avoid the tolls (see: renting a car at Faro Airport). Taxi (or Uber): Taxis and Ubers are both available from Faro Airport, and don’t require advance booking (but will probably be more expensive than an airport transfer). Public transport: To get to Lagos from Faro Airport by public transport, you’ll normally need to go take either the airport bus (bus #16) or a taxi to either the bus or train station in Faro (see below). There is an evening bus that goes from Faro Airport to Lagos once per day, which can be booked on Rede-Expressos.pt. Train: There is a direct train from Faro to Lagos. Tickets can be bought on cp.pt (discounts are available if booked in advance). Bus: There is a direct bus from Faro to Lagos. Tickets can be bought on Eva-Bus.com. Train: There is a train from Lisbon Entrecampos (and Porto and the rest of Northern Portugal) with a change at Tunes station. Tickets can be bought on cp.pt (discounts are available if booked in advance). Bus: There are direct buses from Lisbon and the rest of Portugal to Lagos. Tickets can be bought from Rede Nacional de Expressos. See also: How to get from Lisbon to the Algarve.